Pécy is a village in the department of Seine-et-Marne, on the D215 some 20 kilometres south of Coulommiers. 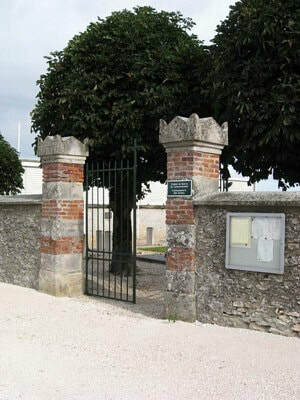 The cemetery is west of the village on the D2 road to Rozay-en-Brie, and the war graves will be located on the left of the cemetery entrance. 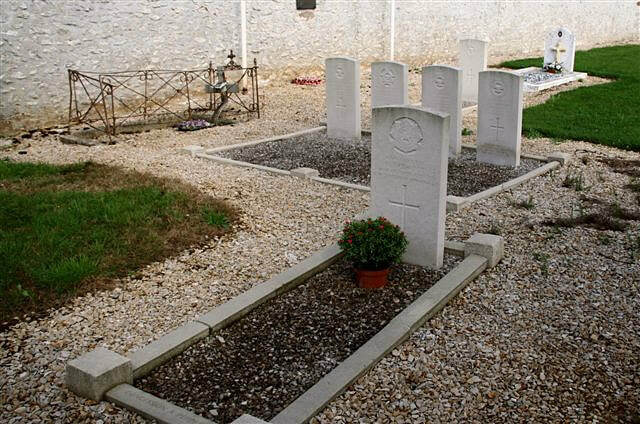 Pécy Communal Cemetery contains the graves of five Commonwealth airmen of the Second World War, and one First World War burial. 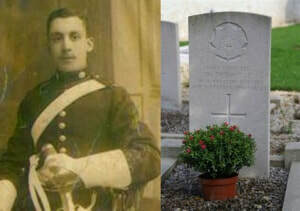 6th September 1914, aged 22. 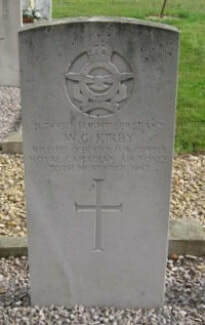 R/74930 Flight Sergeant Walter Grenfell Kirby, Wireless Operator/air Gunner in 7 Squadron, Royal Canadian Air Force, died 30th November 1942. 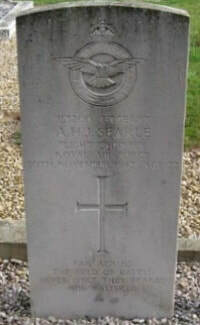 753200 Sergeant Albert Henry James Searle, Flight Engineer in 7 Squadron, Royal Air Force, died 30th November 1942, aged 22. Son of Albert Henry James and Laura Eliza Searle of Camberwell, London. 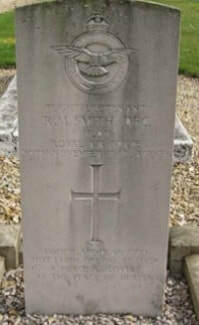 61009 Flight Lieutenant Richard Marcus Smith, D. F. C. Pilot in 7 Squadron, Royal Air Force Voluntary Reserve, died 30th Nov. 1942, aged 26. 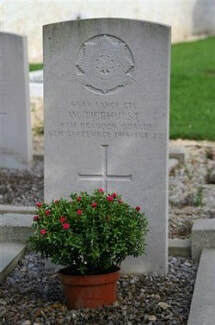 Son of Marcus and Dorothy Smith of Bushey Heath, Hertfordshire. 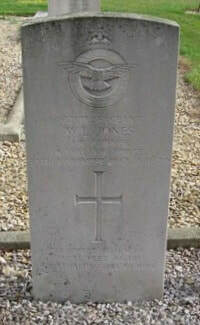 1577798 Sergeant Joseph William Wheildon, Air Gunner in 7 Squadron, Royal Air Force Voluntary Reserve, died 30th Nov. 1942, aged 21. 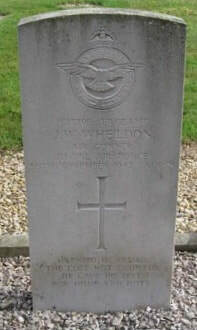 Son of Joseph Howard and Mabel Wheildon of Hanley Castle, Worcs. Incident: Aircraft crashed at Pécy. There were no survivors. INSCRIPTION. 'TIS SWEET TO KNOW WE'LL MEET AGAIN WHERE PARTINGS ARE NO MORE. INSCRIPTION. FAR ACROSS THE FIELD OF BATTLE NEVER ONCE THEY FEARED NOR FALTERED. INSCRIPTION. VOUCHSAFE - DEAR GOD - THAT EARTH, ONE DAY, BE GIVEN A PEACE AS LOVELY AS THE PEACE OF HEAVEN. INSCRIPTION. SPLENDID HE PASSED, THE COST NOT COUNTED, HE GAVE HIS BEST FOR HOME AND DUTY.